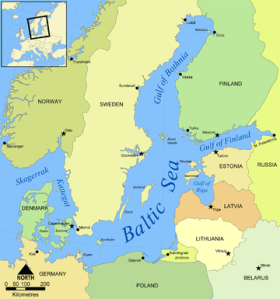 Hypoxic areas are growing in the Baltic Sea. FRISCO — The Gulf of Mexico isn’t the only place in the world with a dead-zone problem, European researchers says hypoxia is affecting a growing section of the Baltic Sea. Overall, the dead zones now total 60,000 square kilometers, more than 10 times bigger than it was in 1900, according to Scandinavian university researchers. The main cause is the same as it is everywhere else — nutrient pollution from land — and warmer ocean temperatures are exacerbating the problem.